It is easy to feel intimidated by a heavy book such as Those Wild Wyndhams: Three Sisters At The Heart of Power, as first impressions go it is a beautiful book, a work of art, in fact. At 512 pages it is not a light read, but I can tell you once you open the first few pages and are introduced to this gilded life at the heart of Victorian and Edwardian Britain, you will be hooked. It is simply impossible to put down. The Mitford Society adores Joan Wyndham and if you are familiar with her childhood memoir Dawn Chorus then you will be aware of the family’s sprawling mansion, Clouds, and of her great aunts’ Mary, Madeleine and Pamela — the subject of Those Wild Wyndhams. Some of the more superficial attributes (because we adore a certain lightness of touch here at TMS) is that they moved at the centre of The Souls – an intellectual group who were the predecessors of the Bright Young Things. Incidentally, Pamela Wyndham’s son was Stephen Tennant, and many of Cecil Beaton’s iconic photographs of the BYT’s were taken in Pamela’s drawing room. Their beauty was feted by artists, and their intellectual capacity and modern thinking could rival any man. Familiar relics of Mitfordiana appear here and there — George Curzon has more of a fleeting mention, and Marie Stopes, a controversial character in her own right, appears in the latter sections of the book. 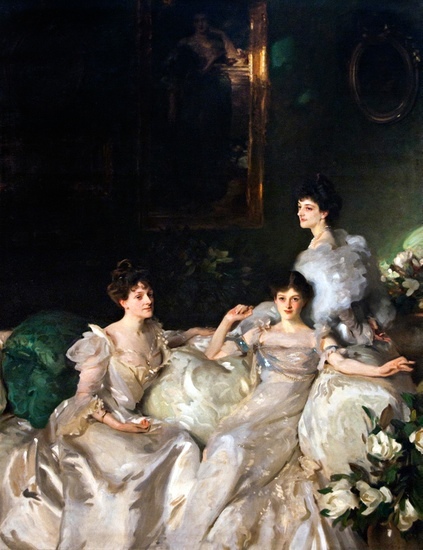 ‘The Three Graces’ Mary, Madeleine & Pamela, painted by John Sargent circa 1899. As was expected of them, the girls bowed to tradition and married well, though as Renton relates, only one marriage was happy. Extramarital affairs and illegitimacy crept through family life, though without a whiff of public scandal. As the curtain falls on the Victoria’s reign, we are ushered into the Edwardian era and the tragedy of WW1. Each sister, now advancing past middle age, was not exempt from heartbreak: two of Mary’s sons, and one of Pamela’s, were killed. As the 1920s progressed, and their own children grew up, Mary, Madeleine and Pamela took a step back, though not fading entirely, to observe the ridiculousness of the Bright Young Things. Although filled with beauty and glamour of the inter-war youth, it never quite reached the pinnacle of intellect which was at the heart of The Souls. It might be easy to misjudge this vast biography as a woman’s story. Indeed the exquisite cover of the three girls, painted by John Sargent in 1899, dubbed ‘The Three Graces’ by the Prince of Wales, is very feminine. However, the author Claudia Renton, who took a First at Oxford, interweaves her protagonists stories to parallel with the modern politics and social movements of the day. As the subtitle tells us, they really were Three Sisters At The Heart of Power. Allen & Unwin are offering one lucky Mitty the chance to win a signed copy of Sheila The Australian Ingenue who Bewitched British Society. Simply click here to visit The Mitford Society’s facebook, click ‘like’ and ‘share’ to be in with a chance. The competition ends on Sunday 23rd February at midnight. Winner will be selected at random. It couldn’t be easier! Professor Hancock is the author of over seven hundred refereed scientific articles and publications as well as writing and editing fifteen books including: Human Performance and Ergonomics in the Handbook of Perception and Cognition series, published by Academic Press in 1999. Stress, Workload, and Fatigue, published in 2001 by Lawrence Erlbaum and Performance under Stress published in 2008 by Ashgate. He is the author of the 1997 book, Essays on the Future of Human-Machine Systems and the 2009 text, Mind, Machine and Morality also from Ashgate Publishers. I have spent a lovely afternoon reading Pigs Can’t Swim by Helen Peppe. Perseus Books sent me a review copy, quite out of the blue, because they thought The Mitford Society would enjoy it. They were right: on the surface it is a story about a large family living in Maine, not quite unlike the Mitfords in the dynamic of sibling life. 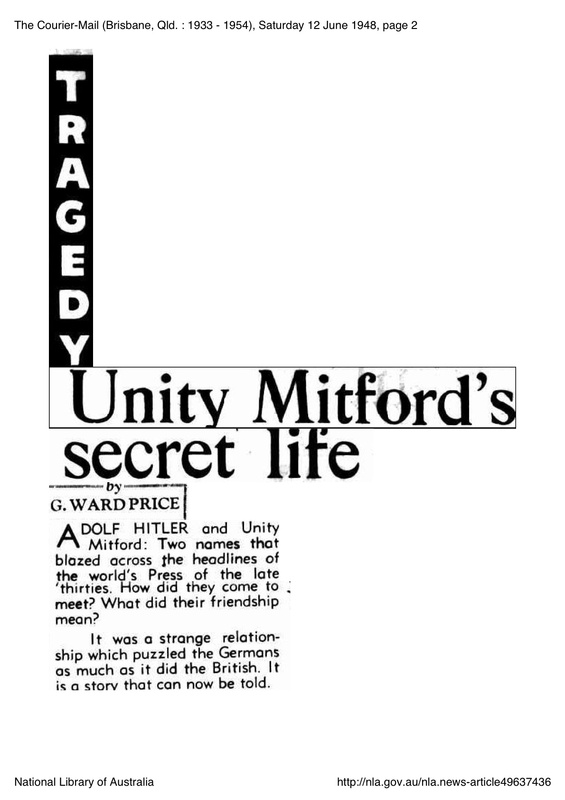 But unlike the Mitfords there was no draughty stately home, trips to Dieppe, aristocratic connections or a formidable nanny on hand to make life a bit more pleasant when the horrors of family life get in the way. It’s a gritty story, often gruesome with graphic descriptions of animals being slaughtered and senseless (animal) killings. The comings and goings of siblings, never named, but cryptically mentioned through various long-winding pseudonyms, and chilling events which can blight a childhood. No spoilers here! As with the namesake of this blog Peppe manages to rise above adversity with her sanity and humour in tact. An enlightening read worthy of every accolade bestowed upon it. I’m still feeling quite bedazzled by Sheila The Australian Ingenue who Bewitched British Society and I hope you enjoy this interview with the author Robert Wainwright. Thanks to those Mitties who sent in questions! 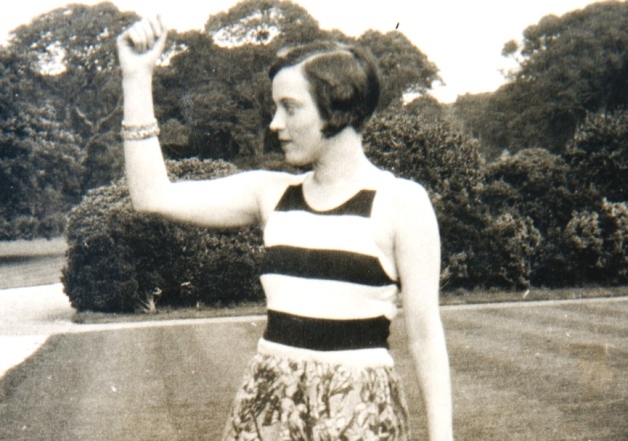 For those in The Mitford Society who haven’t read the book what inspired you to write about Sheila and when were you confident you had enough material to fill a book? There were a few sentences in William Shawcross’s official biography of the Queen Mother which mentioned King George V’s demand that Bertie give up the Australian. A colleague of mine told me about it and suggested I have a look to see if we knew anything more about Sheila Loughborough. There was a brief mention in the Australian Dictionary of Biography but nothing more. So it became a challenge to me to uncover her story. I didn’t sign the publishing contract for six months, until I was convinced that there was enough information to produce a book. Was it easy finding your source material and what steps did you take in sourcing the info? I have been a journalist for more than 30 years and this search was undoubtedly the hardest I have done. All of her contemporaries are long dead. Needle in a haystack doesn’t do it justice. I bought 60 or more books, mostly biographies, simply to retrieve a line or two that mentioned her, visited archives in Edinburgh, Cambridge and London as well as getting access to the University of Texas where there were wartime letters she had sent to a friend. 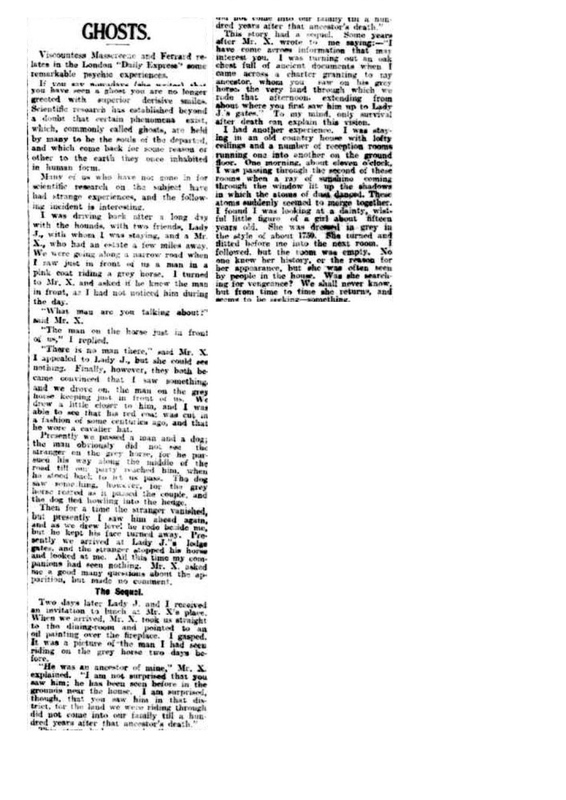 The only way of putting together a timeline was trawling through the British newspaper archive at Collindale as well as online archives for newspapers and magazines in the US, Australia and India. It was only at the end of the project that I was given access to her unpublished memoir which gave her a voice but leaves many questions unanswered. Did anyone object to your using the letters from Princes Edward and Bertie? On the same note, did you come up against any objections as far as letters etc were concerned when writing the book? No-one knew that I had seen them. They were in a box in the Scottish Archives, neatly folded among personal papers and clearly treasured. A Eureka moment. There is clearly other correspondence held at Windsor but they are regarded as private and therefore I was not given access. When you had finally gathered enough info to construct a story how easy was it to piece together? It was a giant jigsaw that had to be constructed and reconstructed as I checked material to try and be as accurate as possible. I am a journalist first and felt it very important that the book was a work of supported fact. I did not want to blur the boundaries with fiction and felt that it was better to leave a gap rather than fill it with assumption or worse. I am now intrigued by Sheila’s unpublished memoir, following the success of your biography do you think it will be published? I doubt the memoir will be published because it is unfinished and written over probably two decades. There is some beautiful writing in those pages but she was overly discreet and tended to downplay and even ignored aspects of her life that we would find intriguing. There are few people who can truly write their own biographies without censoring themselves. 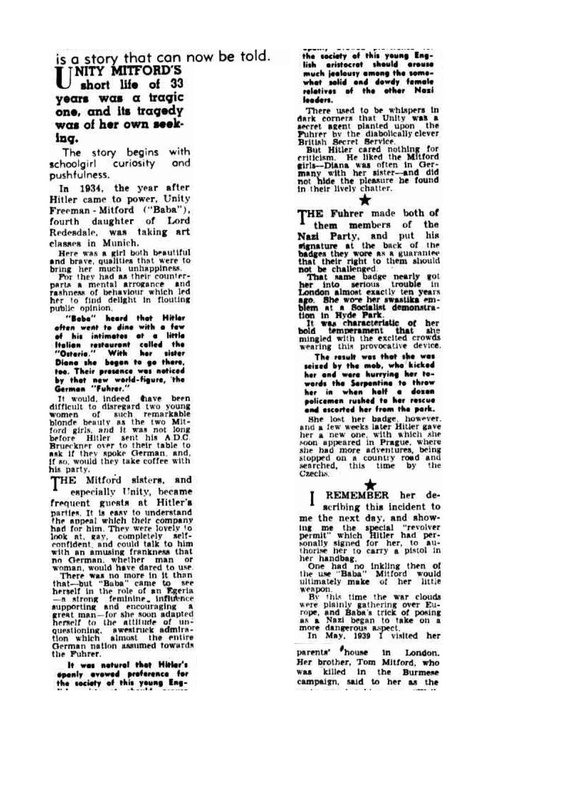 Some reviews have found Sheila to be a frivolous product of the inter-war era. I thought she was an inspiring person. In your own words what makes Sheila a likeable heroine? In spite of her obvious beauty she was understated. How many women of that time would have allowed themselves to be photographed in a glass jar or in their pyjamas on a windswept hill, let alone with her hair in spikes like Robert Smith from The Cure? I like her independent spirit and the ability to speak her mind, I love her sense of duty, either working for charity or as a volunteer nurse and the late life decision to become one of London’s first businesswomen. When you strip away the glamour, it is the story of an ordinary woman dealing with extraordinary issues: two wars and a depression, rearing children in a failed marriage, the death of a son and two husbands and always with her family forever on the other side of the world. Do you have any future projects lined up? Yes. An adventure story of the same era that is begging to be told for the first time. 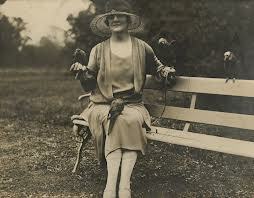 And last but not least, since this is The Mitford Society who is your favourite Mitford girl? I suppose I’d have to say Nancy. Although younger, she was a great friend of Sheila’s. Sheila The Australian Ingenue who Bewitched British Society is a beautiful book. I was bedazzled by the cover alone (a painting by Cecil Beaton), and this was before examining the interior contents. Don’t be fooled, I was warned by a fellow friend who is an old pro at reviewing, and I agreed with his sentiments, a clever cover can be enough to induce a kind of euphoria as one opens the book. Having read the book cover to cover I can now smugly add that the interior was as lovely as the cover. I have read reviews of Sheila, most notably Selina Hasting’s in The Spectator which, being a fellow biographer, I wonder if she feels any sense of camaraderie towards those in her field? I say this because she pin points the misuse of certain titles, and as this is The Mitford Society I shall highlight ‘Lady Diana Mosley’. To me, it was no big deal, titles are iffy at best, and poring over the facts of Sheila’s life, which had slipped into the murky waters of oblivion, I was more than willing to overlook this slip of the peerage to marvel at what the author had found. Wainwright astonishes in his findings of Sheila. I admit, given her three separate titles: Lady Loughborough, Lady Milbanke and Princess Dimitri, I have probably read about her in the vast volumes of letters and biographies and have never taken any interest. And now I realise her name is a footnote at best in these pieces of correspondence. By his own admittance, Wainwright credits his commissioning editor with the discovery of Sheila. This perception for noticing a potential subject for a biography is as cleverly honed as a ruthless talent scout’s eye for the next big thing. So, as Wainwright explains in his book, he turned amateur detective and exhausted the corners of the globe and every book imaginable to find enough evidence to construct a story. This appeals to me, and I find it inspiring as I am on a similar mission to find information on Jean Barbara Ainsworth, Viscountess Massereene (peeress, style icon and renowned ghost expert) and her beautiful daughter the Hon. Diana Skeffington who died in 1930 at the age of 21. The introduction of Sheila is very fitting and is written in a light, interview style. I love the asides between her and her third husband, Prince Dimitri, especially when she speaks of the rich. ‘They don’t pay…’ From this introduction we are transported to Sheila’s girlhood in the Australian outback, and I must add Wainwright has sourced the most charming photograph of the sixteen year old Sheila Chilsholm on the day the ranch was sold: she’s in slacks, little Edwardian boots and shirt, under which her waist is corseted to what might be sixteen inches. It is a fitting photograph to illustrate the many layers of Sheila: traditional, modern, and all too often, a muse. That is not to say Sheila’s life was entirely superficial, she was no stranger to heartbreak. Her first husband, Lord Loughborough (us Mitford fans will recognize the family name St. Clair Erskine) whom she met whilst working as a nurse in Cairo during WW1. He drank too much, gambled too much and squandered his fortune. 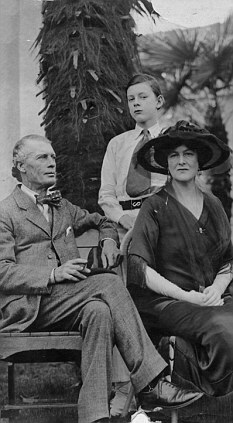 They were divorced and Sheila married Lord Milbanke ‘the boxing baronet’. Her eldest son died in the war, and Loughborough, the father of her children, died shortly after. 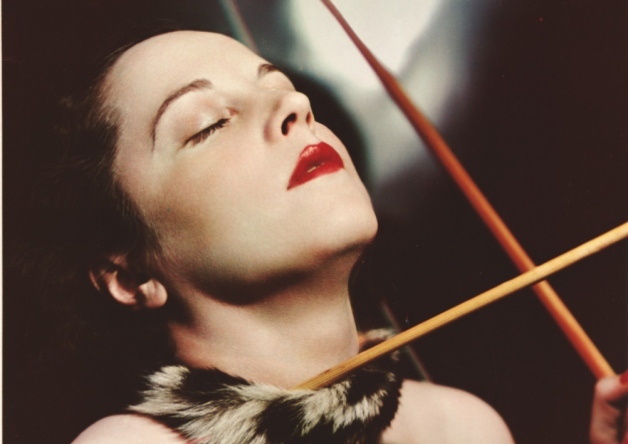 In between she befriended Rudolph Valentino who, as we know, died at 31. 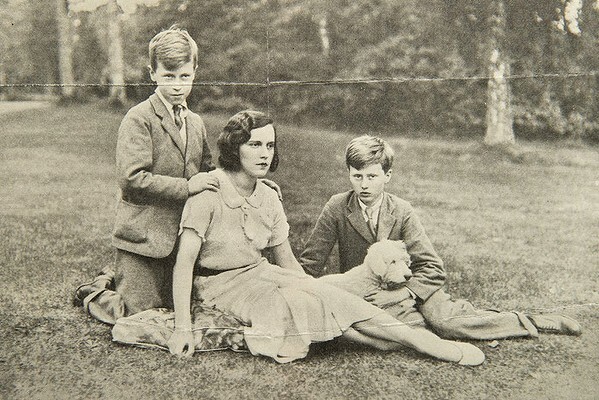 Wainwright has included intriguing letters sent to Sheila by the princes Edward and Bertie; both were in love with her. For a time her best friend was Freda Dudley Ward who is historically remembered as the mistress of Edward, Prince of Wales. Bertie wanted to marry Sheila but his father, King George V convinced him otherwise with the luring of a title – the Dukedom of York – and a fiance, Lady Elizabeth Bowes-Lyon. I suppose, given the scorn directed towards Wallis Simpson, Sheila had a lucky escape. Wearing Valentino’s chain bracelet which he believed brought him luck. He died shortly after gifting it to her, and she felt she had taken his luck. Aside from her royal connections and fascinating friends, Sheila turned her hand to business and convinced Fortnum and Mason to allow her to set up shop at a tiny counter in their department store. From there she founded the Milbanke travel agency, and without a head for accounts she managed to generate a healthy turnover of £5,000,000. Also, no stranger to celebrity endorsement, Sheila accepted a payment from American cosmetic giant, Ponds, to feature her gorgeous face on their advertising posters. To my knowledge some critics have chastised Wainwright for writing too extensively on the people who surrounded Sheila. It is no bad thing, I say. As with the understanding of a person – often troubled – the do-gooders of society try to analyse its upbringing, often pinpointing its surroundings which contributed to such hooliganism. Wainwright is no different, to understand Sheila we must understand her place in society and what would have motivated her. And with this eye for detail he has single-handedly revived an icon, who otherwise, would have remained hidden in the vaults of time. If you treat yourself to one biography make sure it is this one! Yesterday my friends at the Antrim Guardian asked me if I would be interested in writing a feature on the three prominent hotels which once stood in Antrim town. Okay, I said, although I wasn’t sure how much information I could find. Whilst browsing an online newspaper archive (of which I am keeping secret as it’s the best. Fellow writers/historians contact me for the link!) I discovered this remarkable woman, Mercedes Gleitze, who just so happened to be stopping at the Massereene Arms hotel in Antrim. It was in 1929 when Gleitze came to Antrim with the purpose to swim Lough Neagh. I can see the lough from my window, but for those of you unfamiliar with the map of Ireland – you have probably noticed a hole in the middle of the province of Ulster – that is Lough Neagh. Aside from it being a source of fresh drinking water, the currents are notorious and the water is icy cold. Swimming across it was no small feat. Gleitze arrived in Antrim with two friends and her Irish captain. I can only imagine the buzz it created through the town, this was in 1929 after all, the Antrim Castle had burnt down seven years prior to her visit, and visits from remarkable guests were all but fizzling out. The locals swarmed around the hotel, posing for photographs and collecting autographs. The national press came, too. After the fanfare, Gleitze was briskly escorted to a motorboat for a cruise of the Six Mile River which flows into Lough Neagh. She observed the waters and decided she would prefer to swim the breadth just to get an idea. Greased up and led into the lough by this keen gentleman (see photograph), she attempted her goal. I should also add that Rolex had become a sponsor of Gleitze and she endorsed their waterproof Oyster watch. Look closely at the photo below, you can see a Rolex dangling from her neck. Gleitze was the first celebrity to promote the brand. Such a strong swimmer, Gleitze swam at a gentle pace all the while chatting to the men in the boat. However, she paused halfway through to sip a glass of milk, after which she floated on her back before setting off again. Speaking from experience (not that I’ve attempted to swim the lough) on the sunniest of days the gusts of wind can be powerful, so falling victim to the breeze Gleitze started to struggle. After twenty hours in the water, and swimming eighteen miles, she was brought ashore to loud cheers. After posing for press photographs, the exhausted swimmer collapsed and was rushed to a nearby house. 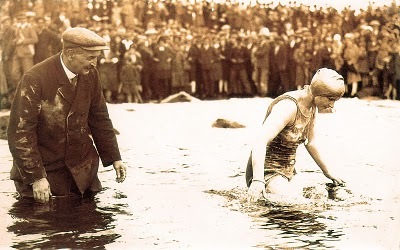 Gleitze’s endurance is amazing: in 1927 she became the first woman to swim the English Channel…on her eighth attempt. In 1928 Gleitez unsuccessfully attempted to swim the North Channel, each time succumbing to hypothermia. 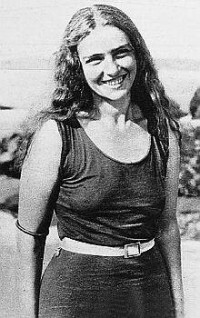 In 1930, she swam Hellespont in two hours. In 1931, she swam across Galloway Bay in nineteen hours and across Sydney Harbor. She swam in Cape Town, South Africa in 1932 to bring the total number of marathon swims to an incredible fifty-one with twenty-five of her swims taking at least twenty-six hours to complete. With the money she earned from her swimming career Gleitze opened the Mercedes Gleitze Home for the Homeless in Leicester. It ran from 1933 until it was bombed in WW2. 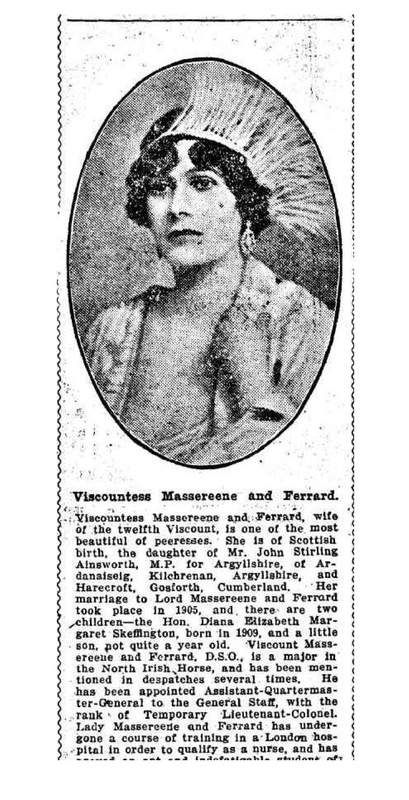 Society beauty, Jean Barbara Ainsworth, the 12th Viscountess Massereene, claimed to be an expert in ghost lore, so it must have thrilled her, and fueled her imagination, when she moved into her husband’s family seat, Antrim Castle. Although the only remaining artifact from the castle is the Italian tower, the castle and its surrounding grounds has long been associated with stories of hauntings, gruesome endings, and mystical goings on. The most prominent ghost story was founded during her time as chatelaine of the castle. 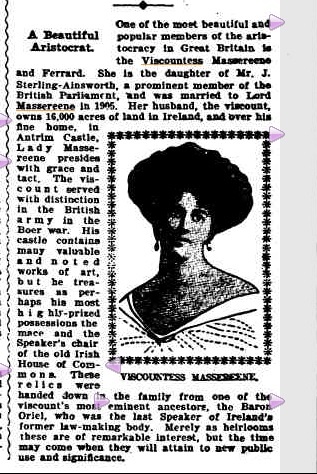 Viscountess Massereene, brought Antrim Castle to life with lively parties, mixing the aristocracy with artists and musicians. It was during a party, on the day of her son, John’s, 7th birthday in 1922, that Antrim Castle was set alight. Guests escaped by jumping from windows and stood on the lawn in their nightclothes. Diana and John, the Viscountess’s children, managed to hide in a stairwell until they were ushered to safety. Their pet cat’s fur caught alight and they watched it perish. 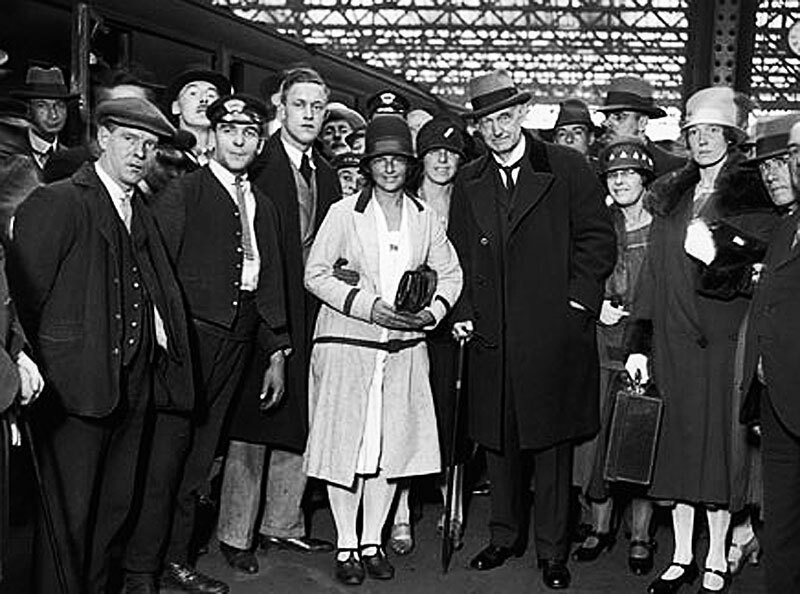 A servant, Ethel Gillingham later died from smoke inhalation. It is said that Ethel Gillingham’s spirit haunts the castle grounds, and she is known by locals as ‘the white lady’. The interior of the castle was completely destroyed with various heirlooms going up in smoke — it was the end of an era for the Skeffington family. Following the fire at their family home, the Skeffingtons took shelter at their hunting lodge on the deer park. The family then moved to private apartments created within a wing of the 10th Viscount’s coach house (Clotworthy House). The Viscount dreamt of restoring the castle, and in 1930 he commissioned Belfast architects to design plans. That same year a bitter blow fell upon the family when their only daughter, the Hon. 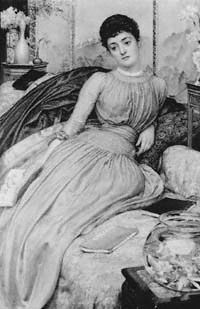 Diana Skeffington, died of typhoid at the age of 21. The plans were scrapped, and the Viscount lost heart. 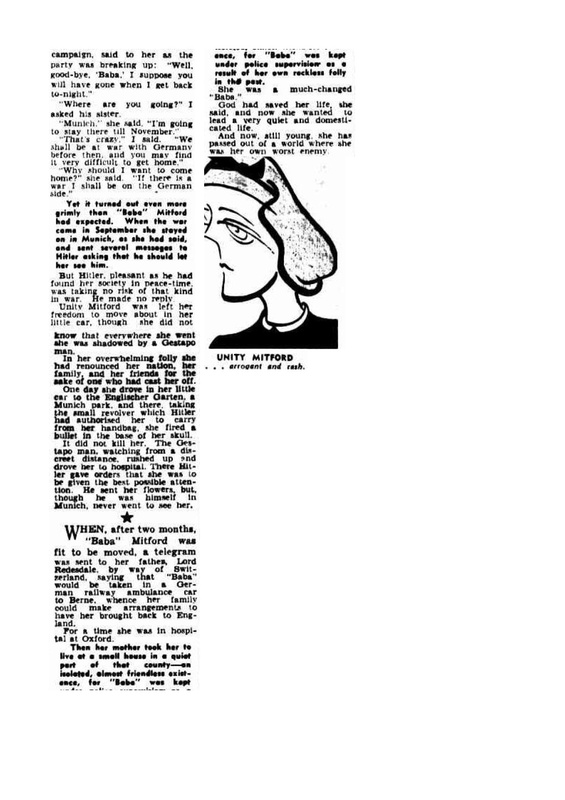 Below, is a newspaper clipping in which the Viscountess describes her experiences with ghosts. I wonder if her spiritual beliefs was a small consolation to her following the untimely death of her daughter? 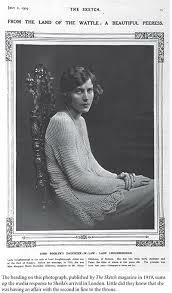 The Viscountess died relatively young in 1937. I have only just discovered that the Viscountess contributed to the 1919 supernatural novel, ‘Ghosts I have Seen’ by Violet Tweedale. You can read the book by clicking here.